Rumours surrounding the upcoming Samsung Galaxy S4 have been coming thick and fast in the last few weeks, but the all important release date is the one piece of information that the majority of Android fans want to hear. There is now growing evidence of when the Galaxy S4 may be revealed to an expectant public, and the device is being tipped as a bigger step up than the Galaxy S3 was. First up SamMobile are reporting that Eldar Murtazin has taken to his Twitter page to suggest that everyone keeps March 14th clear in their diaries as this may be the day that Samsung will unveil the Galaxy S4, and it will be at an event in New York. We have heard a few different dates being mentioned now with the 15th of March being the previous date mentioned for the Unpacked event. Murtazin has an uncanny knack of getting hold of information before anyone else and is often proved to be pretty accurate. The tweet itself didn’t specifically mention the Galaxy S4 but as the date is around the same time as previous suggestions for the big unveiling of the handset give or take a few days, has led to suggestions he was talking about the new Samsung flagship smartphone. The tweet also suggested that HTC won’t enjoy great success sales wise again this year despite the launch of the HTC One that is expected later today. If this rumour is true Samsung will be announcing the smartphone around two weeks after the Mobile World Congress has finished, and while the company will be at the event the Galaxy S4 won’t be shown off there. Meanwhile The Verge is claiming to have confirmed the date of March 14th with sources close to the matter, and that the design of the smartphone is a “tightly-guarded secret.” Again there are claims that Samsung will develop the eye tracking software on the handset improving on the Smart Stay feature found on the Galaxy S3. The new features that will come with the smartphone are claimed to be a bigger step up compared to the Galaxy S2 and the S3, which if true will certainly make the Samsung Galaxy S4 the most successful smartphone release so far. 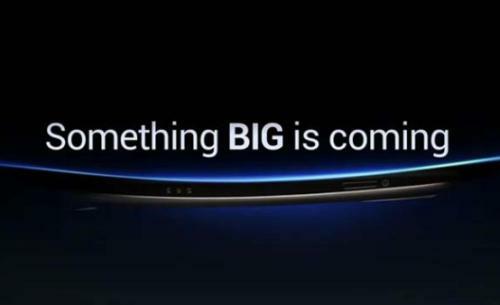 Are you getting excited about the Samsung Galaxy S4?